Architect: Moody/Nolan LTD | Johnson & Lee Ltd.
Gilbane partnered with UCAN to provide construction management services for the 54,500 SF Diermeier Therapeutic Youth Home (Phase I); and new 31,200 SF John D. and Alexandra C. Nichols Center Program Services and Headquarters Building (Phase II) located on a seven-acre urban site. The three-story Diermeier Therapeutic Youth Home includes 70 rooms organized into dormitories for youth that have experienced severe violence, trauma, neglect and abuse. Each dormitory features single-occupancy bedrooms, a living room, restrooms and study areas, all connected to resident staff offices. 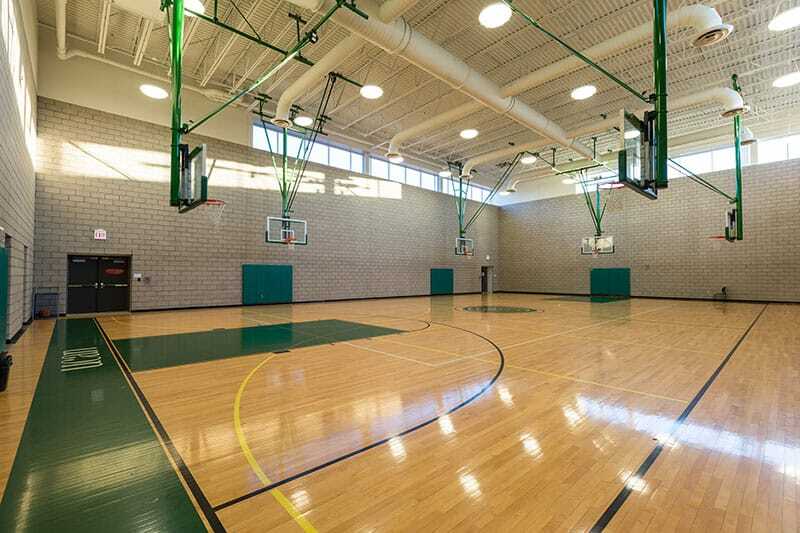 The building includes a central dining room, full-service commercial kitchen, multipurpose gymnasium and fitness room. Social worker and therapist offices are also located throughout the facility, with group rooms that focus on art, computer science, group counseling and education. The 1,500 SF full-service institutional kitchen includes all the equipment and facilities necessary to properly receive and store food and prepare meals by UCAN’s full-time kitchen staff. Meals are served to the residents in the 1,200 SF communal dining area via a 300 SF servery, which includes coolers, warmers and plate and utensil storage. A walk-in cooler, walk-in freezer and kitchen manager’s office are also included to support the food service operations. 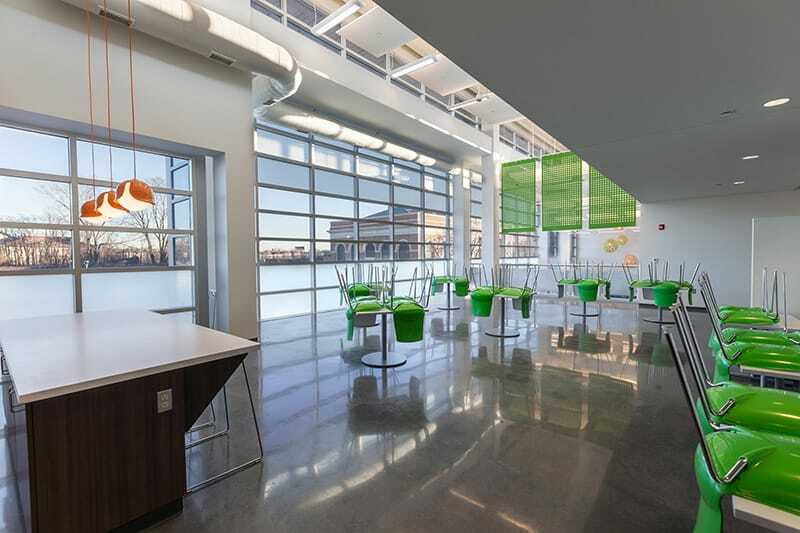 The new two-story Nichols Center building includes administrative, violence prevention program and training space. It also provides UCAN with space to host large numbers of staff and/or external partners in one room for events such as trainings and workshops. The space is also available for community residents and organizations. 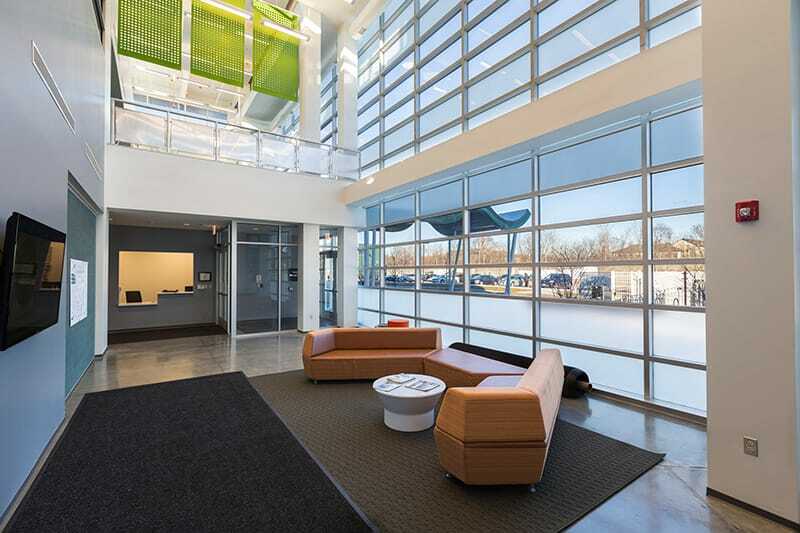 Gilbane was committed to helping reinvest the funding for the UCAN project into local businesses and labor, and we valued and understood that building this facility was a major economic opportunity for the North Lawndale neighborhood, businesses and community. The new campus provides a community-based benefit on an unsafe parcel of land that had been vacant for more than 40 years, as well as closing an unsafe, hazardous street. The project has also delivered shared community space that includes prospects for a community garden, recreation area and sculpture garden. Having the building in the community that it serves is of the utmost most importance to UCAN. Building the facility here was an extraordinary community development effort to encourage reinvestment in a struggling community; and to provide clinical services, support and mentoring to young people that need to heal, grow and thrive in their community.